Directed evolution of thermostable kanamycin-resistance gene: a convenient selection marker for Thermus thermophilus. Hoseki, J., Yano, T., Koyama, Y., Kuramitsu, S., Kagamiyama, H.
J. Biochem. 126 (5): 951-956 (1999). 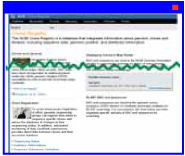 PubMed PMID 10544290. Thermus thermophilus HB8 Disruption plasmids were constructed by "Whole-Cell Project of a Model Organism, Thermus thermophilus HB8" (http://www.thermus.org/) using the thermostable kanamycin nucleotidyltransferase gene and deposited by Dr. Seiki Kuramitsu. The gene disruptant of T. thermophils HB8 can be easily prepared by adding this plasmid into the culture medium. The target gene in this plasmid was replaced by the thermostable kanamycin resistant gene from Staphylococcus aureus. The length of the homologous region outside of the target gene is about 500 bp (only 10 bp of the target geneare left in both sides) . Plasmid clones for disrupting Thermus thermophilus HB8 gene. 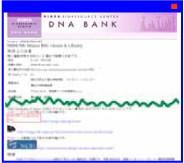 Clone(s) is shipped as DNA solution in TE buffer in individual tube. Please amplify this plasmid clone using E. coli host strain (ex. Stbl2, Invitrogen) suitable for the cloning of unstable inserts such as direct repeats. Please specify ID (ex. TDs01A01) of individual clone(s). In publishing the research results obtained by use of the BIOLOGICAL RESOURCE, the USER is expected to cite the following literature. (Yokoyama et al., 2000, Nature Struct. Biol. 7, 943-945). Please complete the form with your shipping information including your account number of an international courier (FedEx. World Courier, TNT Express, DHL Global Forwarding and others). NOTE: User registration on our system is required before download the Order Form for credit card (Visa / Master). For the use of our bioresource in research for not-for-profit academic purpose by a non-profit organization. We ask a signature of the Authorized Representative of a recipient institution. In the Section 2(a), please write your purpose of use of clone in 10 to 20 words. 1. For research to be conducted by for-profit organizations. 2. For collaborative research between for-profit organization and not-for-profit organization. 3, For research by not-for- organization outsourced and sponsored by for-profit organization. 4. For for-profit research by not-for-profit organization including R&D with the aim of patent acquisition. Please visit further information of distribution and fees. 8,640 YEN (For use in research for not-for-profit academic purpose). 17,280 YEN (For use in research for-profit-research purpose). For details for fee and payment, please visit Information of Request for Distribution. 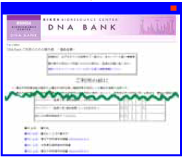 For protection of personal data at RIKEN BioResource Research Center, please reffer Personal data protection policy.